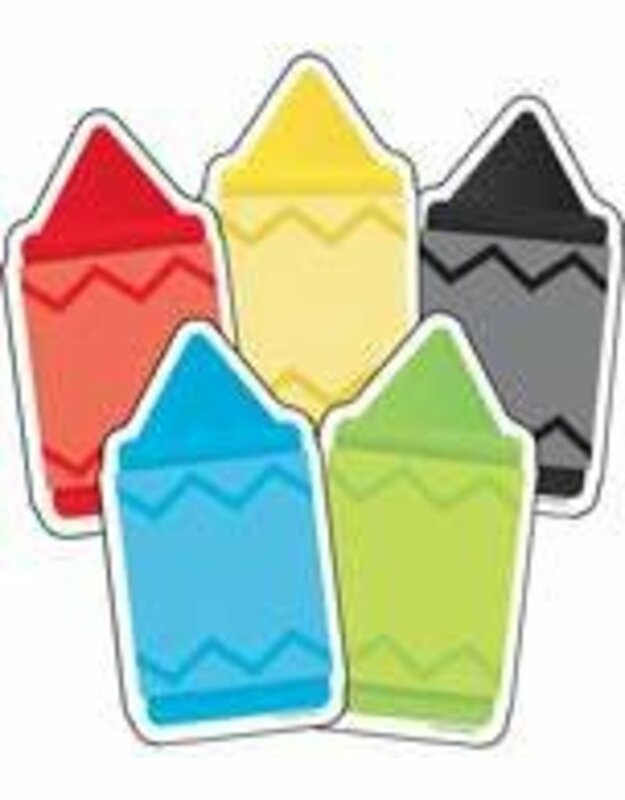 The 48-piece Chunky Crayons Cut-Outs(R) pack contains 6 each of these colors:-red-blue-black-brown-green-orange-yellow-purplePrinted on card stock, durable classroom cut-outs can be used in a variety of ways! Play games, label desks, and enhance bulletin boards with Carson-Dellosa’s assorted Colorful Cut-Outs. With a wide variety of shapes, colors, and styles, classroom cut-outs are perfect to use as game pieces, cubby tags, and more.